The Windows Update tool is a very useful native component of Microsoft operating systems. This tool keeps your system up to date with protection against the latest virus vulnerabilities and security exploits. Along with automatically updating your security protection, Windows Update provides updates that aren’t necessarily related to security, such as enhanced functionality updates. It’s important to keep the update feature working properly, but it can sometimes malfunction. These malfunctions sometimes cause Windows Update to display error messages or cause it to freeze during your update, which can happen due to missing files or faulty configuration. If you are experiencing problems with Windows Update, a few fixes can be found below for Windows XP, Windows 7 and Windows 8 systems. In the right column that appears, click My Computer. Double click the hard disk drive with (C:) in the title. 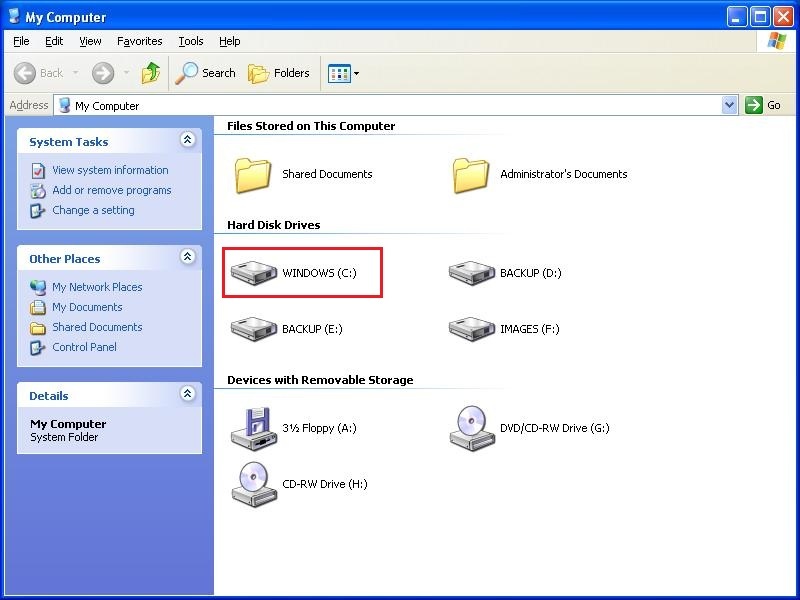 Right-click the folder titled Software Distribution. In the menu that appears, click Rename. Rename the folder by typing Software Distribution Old. In the right column of the menu that appears, click Control Panel. 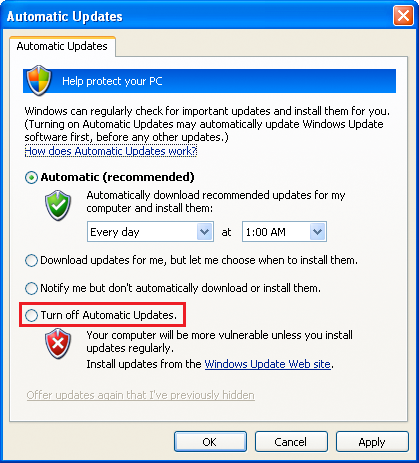 Disable Automatic Updates by selecting Turn off Automatic Updates. Click the Apply button in the lower right corner. Re-enable Automatic Updates by clicking Automatic and clicking Apply. Select a day and time you want the updates to be installed. Restart your computer. Windows Updates should begin to download at the time you specified. If you get a 0x80080008 error message when trying to install updates, you need to register the Wups2.dll file in Windows. First you will need to stop the Automatic Update Service by opening the Command Prompt window. In the right column that appears, click Run. Type cmd in the Open: text field and click OK. In the black Command Prompt window that appears, type net stop wuauserv and press Enter. n the black Command Prompt window that appears, type net stop wuauserv and press Enter. Now you will need to register the Wups2.dll file with Microsoft and restart Automatic Updates. In the same black Command Prompt window, type regsvr32 %windir%\system32\wups2.dll and press Enter. (If you are running Windows XP Professional x64 Edition, type regsvr32 %windir%\syswow64\wups2.dll instead. Click OK when you receive the verification message. Type net start wuauserv in the Command Prompt and press Enter. Exit the Command Prompt by typing Exit and pressing Enter. Restart your computer and the error should be fixed. If your Automatic Updates freeze at 0%, try the following fix, which turns off the Automatically Detect Settings in Internet Explorer. 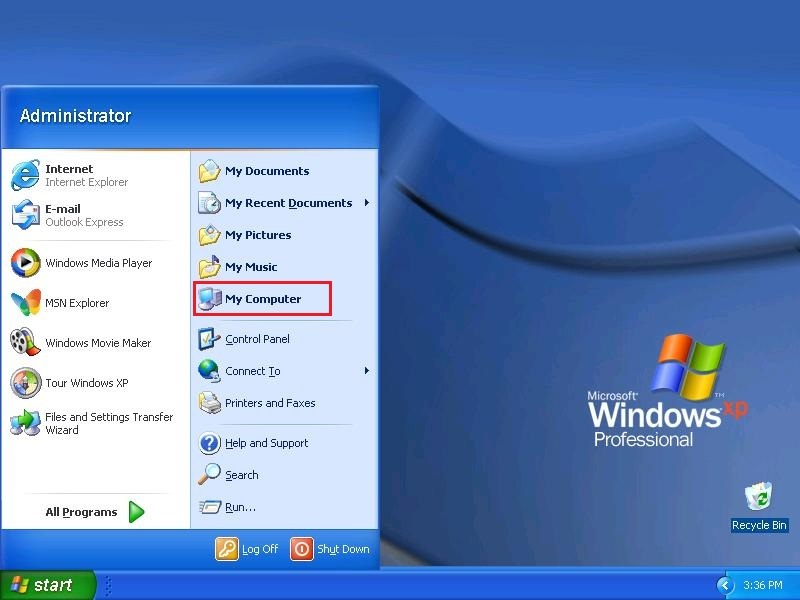 Open the Internet Explorer program by clicking the Start menu, clicking All Programs at the bottom of the menu, and clicking the Internet Explorer text. Click the Connections tab at the top the window. 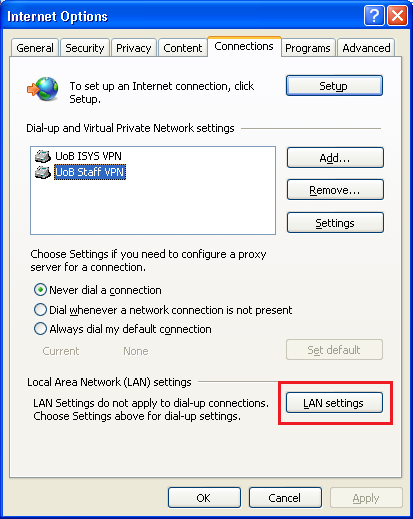 Click LAN settings at the bottom of the Connections window. Click the Automatically detect settings box to un-check it. The following instructions will fix the problem of Automatic Updates freezing at 0% on a Windows 7 machine. Click this link to download the System Update Readiness Tool from Microsoft’s website. Once it finishes downloading, run the program. Click Yes when ask if you want to install the Hotfix for Windows software update. Once it’s finished installing, turn your computer off. Restart your computer to initiate the the Windows Update configuration. 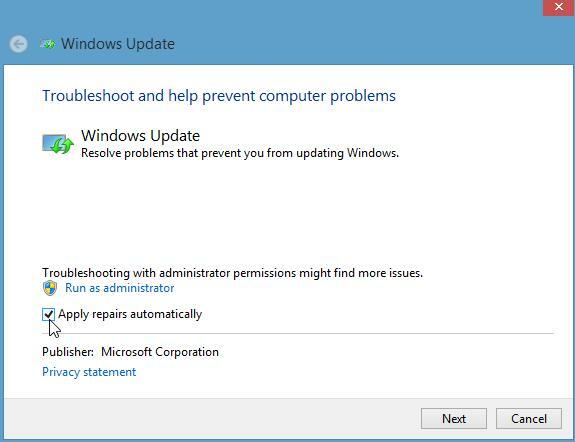 If you are getting a 80240016 error when trying to install Windows Updates, the following fix should repair the problem. Close any Windows Update or Microsoft Update windows currently running. Click the Start button in the lower left corner of your screen. In the list of results shown, right-click Command Prompt and then click Run as Administrator. If prompted, type in your password. Type net stop wuauserv in the Command Prompt and press Enter. Run Windows Updates again to finish your updates. 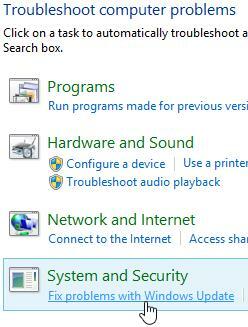 Open Settings Search by pressing the Windows key and W at the same time. Click Fix problems with Windows Update which is found in the Systems and Security section. Make sure that there is a check mark in the box next to Apply repairs automatically. Click the Run as administrator link located above Apply repairs automatically. Follow the instructions to finish the Windows 8 Update repair. Following the above instructions will repair a faulty Windows Update service which freezes or causes errors when trying to update your system. Now that you have repaired the Windows Update feature on your Windows XP, Windows 7, or Windows 8 computer, Windows will keep your system files and functionality up to date and will provide the latest protection against harmful exploits.